Looking for an after-school program? 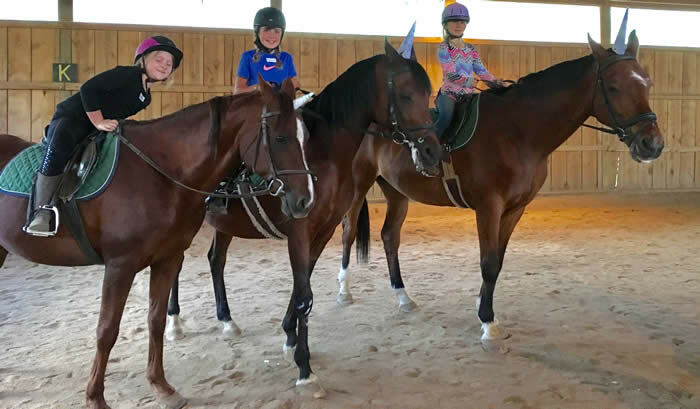 Centaur Rising (CR) offers a horse riding program that aids self-confidence, improves grades, helps the home school or shy child make new friends and helps the child with ADD (attention deficit disorder) focus. CR’s “After School at the Stable” (ASATS) program builds upon what the child has learned in horse riding lessons and horse camp. 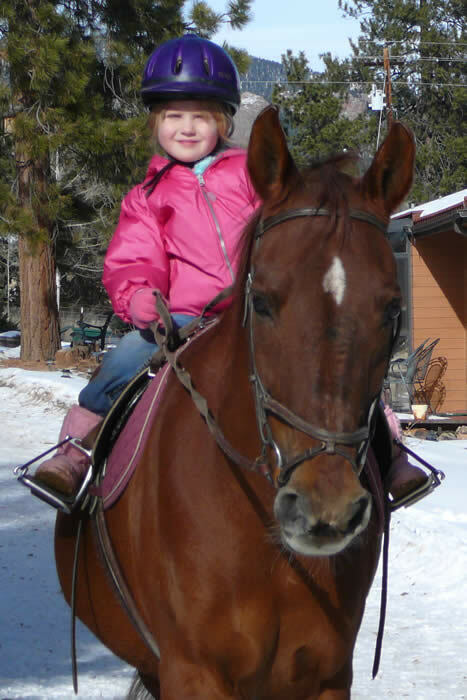 Since children are encouraged to make a school-year-long commitment to ASATS, the program enables the child to advance significiantly in his/her riding skills. It is also consistent with our long-term commitment to youth development. The school-year-long commitment to ASATS provides a “horse crazy” boy or girl with the continuity necessary to truly improve their skills. As with many other endeavors, joy and self-esteem come with dedication. ASATS also provides a multi-school social network, a welcome respite from the stress and challenge of own’s own individual school environment. ASATS has operated since 1992. We have excellent school horses and a comfy indoor arena for year-round riding. A new format in 2019-20 will enable non-riders to participate. In this way we can encourage both friends and siblings to join in! ASATS is kept small – to maximize the attention and the learning that each child receives. 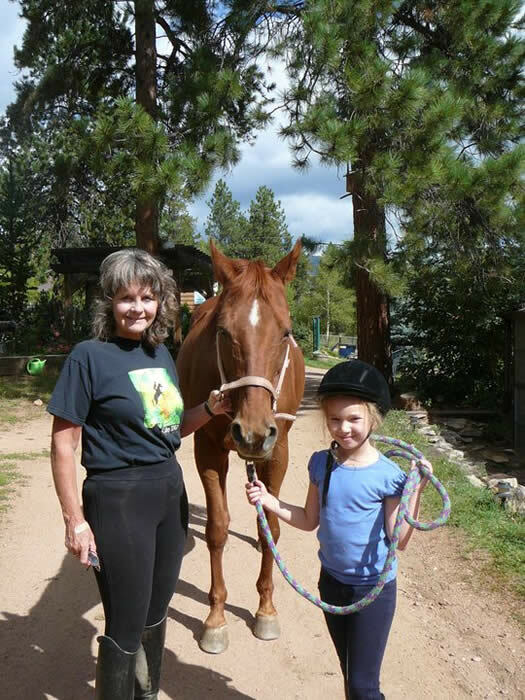 Kris holds a secondary teachers certificate and an MS in counseling – plus nearly 30 years of teaching/training dressage. Every child is different. Kris uses her unique background (and patience!) to work through fear, lack of confidence and frustration. Kris loves teaching kids about horses! ASATS 2019-20 offers three types of participation: 1) Barn Buddies, 2) Riders and 3) Centaurs. Barn Buddies adopt a special horse. They learn about his care and how to safely handle him from the ground. They will not (unless upgrading to Rider) take riding lessons as part of ASATS. 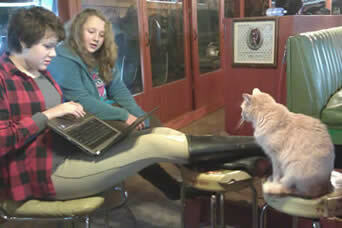 This is because here are Barn Buddies who love horses but who don’t necessarily want to ride them. Riders will receive the above benefits plus a 1/2 hour private lesson each week. If the Rider is able to trot patterns and similarly skilled Riders are signed up to ride at the same time, a one-hour group lesson may be substituted. Centaurs will receive the benefits of the Barn Buddies plus a one-hour private lesson. This option is for families who want to focus on the correct classical foundation for riding and horse training. All students who are enrolled throughout the school year will be invited to help teach newbies at Horse Camp in the summertime. This experience further reinforces confidence, communication skills, leadership and learning. Numerous students have earned scholarships and/or acceptance into college/vet school due to their volunteer work at the non-profit CR. ASATS is offered Tuesdays, Wednesdays and Thursdays from after school until 6pm. The rate is based upon one day/week and four weeks/mo. 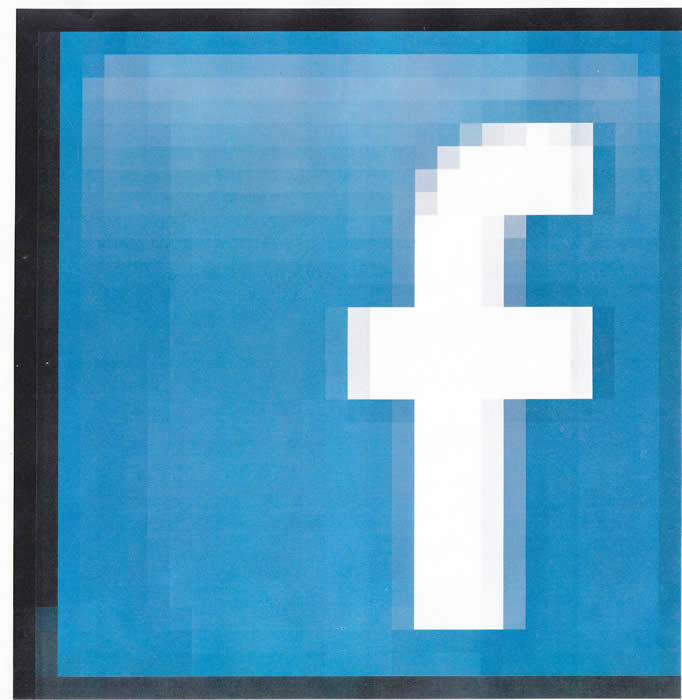 It will follow the Jefferson County Public School calendar. Lessons will generally be offered on the hour (with half-hour lessons sometimes on the half hour). deducted from your credit/bank card on the 15th of the month preceding participation. At least four participants are needed for each day for the program. If this minimum is not met, your child may 1) move to another day, 2) switch to private lessons, 3) drop out at no penalty or 3) recruit friends! There will be a maximum of ten children per day. During the course of the school year, participants may change the day of the week (assuming availability). They may also change their “category” of participation. If an “all-school-year” or “early-enrollment” participant drops out, he will be charged retroactively for the difference between “all-school-year”/“early-enrollment” and “month-to-month”. If, on the other hand, a month-to-month participant does continue throughout the rest of school year, he will receive a retroactive credit for months paid at the month-to-month rate. If CR must cancel a session (for example weather/illness), participants may schedule a make up by joining an additional ASATS day (assuming availability) or by scheduling a lesson of equivalent value. If the participant cancels up to 24 hours in advance, the following applies. He/she can 1) reschedule to a different ASATS day or 2) schedule a private lesson of equivalent value on a non-ASATS day (Fri/Sat). If for any reason, the cancellation by a participant is less than 24 hours in advance, there can be no makeup. Students attending Elk Creek Elementary or West Jeff Middle School may get a bus pass to take W-2 to ASATS. We can also try to help you arrange for pickup/carpooling from other schools. A makeup lesson will be scheduled by CR if local schools are closed or if, in our opinion, the temperature in the riding arena is too cold for riding. (Generally speaking, we consider it too cold if the temperature in the arena is below 20º for beginners). More advanced students may choose to ride in temperatures of 15-19o. Aside from school closures, we will call you if ASATS has been canceled due to adverse weather conditions. Don’t worry! If your child ends up at the stable in unfavorable weather, we will make sure that he/she stays warm until you get here! Suggested Clothing can be downloaded here and registration form here. Please join us after school! Or sponsor an equestrian student in our after-school program. Also check out our summer horse day camp and riding lesson programs. Read about our philosophy of training. "Donate Now" to help support our continuation of this worthwhile after school activity.